It is no secret that I am a huge Disney fanatic. This year I have even infused a little Disney into my classroom, check out my previous post here. 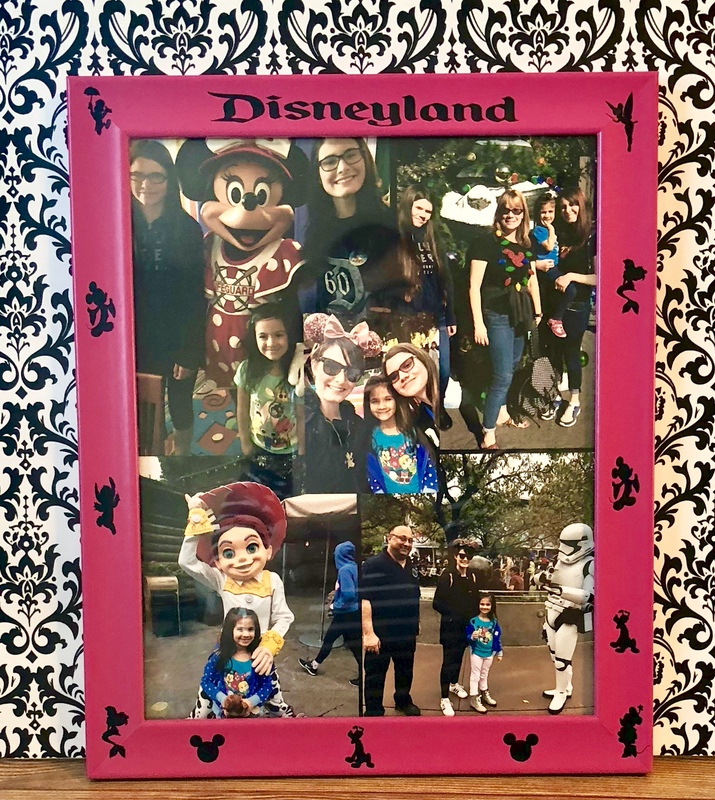 While scrolling through old Disney pics on my phone, I was inspired to create a collage and ultimately, I created a DIY custom Disney frame, and you can too! 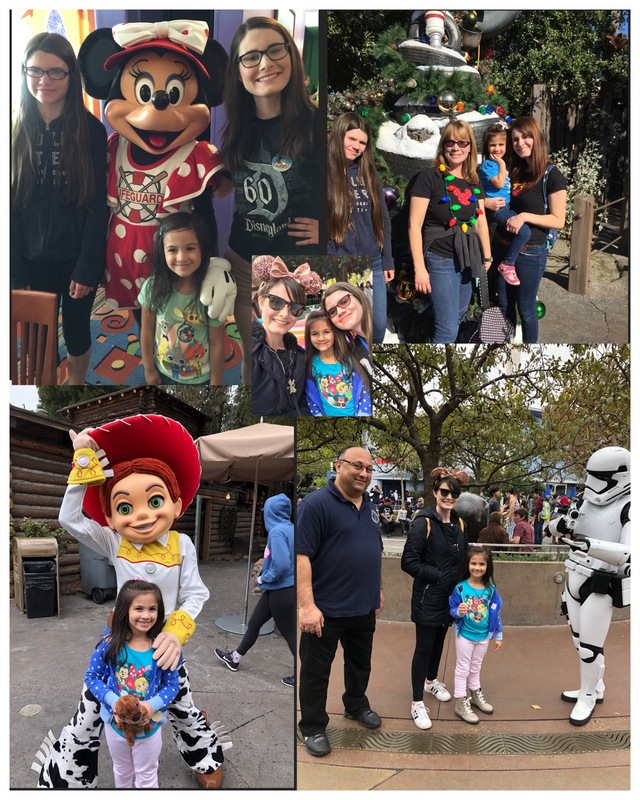 I used an app on my iPhone to create the collage and had it printed at Costco in an 8 x 10 size. The Costco app allows you to upload your photos directly from your phone to the Costco app to have them printed in about an hour. Of course, I wanted a frame worthy of such a great picture. If you checked out my How to Decorate Your Classroom on a Budget,you know that I am heavy into pink and black/white. So when I found a hot pink picture frame at Micheals for a bargain price of $8.00, I immediately knew how to Disney-it-up. This project was done entirely with scraps of black vinyl! Almost no scrap is too small to save, in my opinion. Because I used scraps, I can’t be certain of the brand, but most likely it was Cricut. I stocked up last year on Black Friday. Lately, I have been using Heat Transfer Vinyl for nearly everything. I have put it on faux leather, cork, and glass. HTV is so easy to work with because it has its own carrier sheet. This project with regular vinyl wasn’t bad though, because the images were so small, it was quick and painless. I love the Disney silhouettes. Finding these Disney silhouettes was easy, thanks to Google. I simply saved the images to my computer and then uploaded them into Design Space. The frame is about .5″ wide, so I made all the silhouettes just under .5″ wide and just shy of 1″ tall. 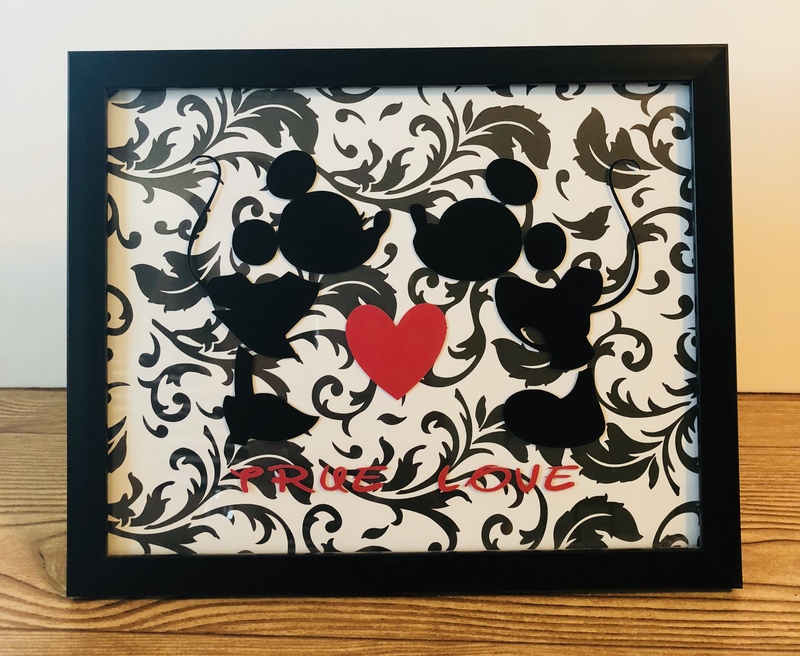 This DIY custom Disney frame will go on the wall near my teacher’s desk. While I was in the craftin’ mood, I decided to bust out two more frames for my classroom. Vinyl isn’t the only scraps I hoard. I also have a stack of scrapbook paper scraps that came in handy for this project. Originally, Mickey and Minnie were just against a white background, but I thought a pattern would really add some interest. This final frame is a perfect all-purpose countdown. We have many countdowns in middle school; days until vacation, days left in the marking period, days until late work won’t be accepted. I wanted a board that would work for any countdown. I cut the Mickey head from black vinyl and repurposed an old frame I already had. Dry erase markers work great on glass, which means you can create an adorable dry-erase board very easily. The pop of hot pink with black accents will tie in nicely with my overall theme. 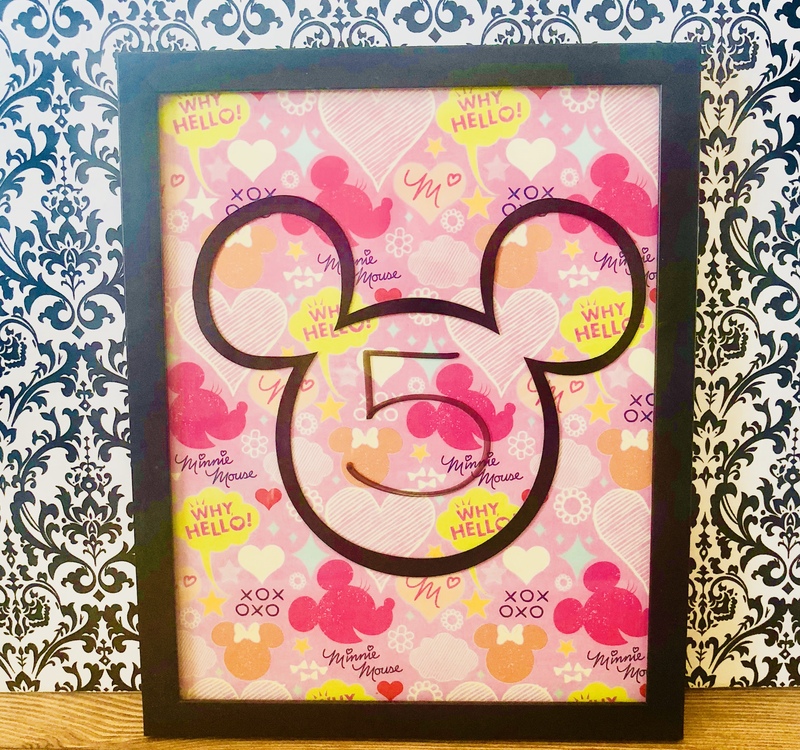 I hope this DIY Custom Disney frame will inspire you to add a little Disney to your home or classroom.